Do Hedge Funds Think IHS Markit Ltd. (INFO) A Good Stock To Buy? Legendary investors such as Jeffrey Talpins and Seth Klarman earn enormous amounts of money for themselves and their investors by doing in-depth research on small-cap stocks that big brokerage houses don’t publish. Small cap stocks -especially when they are screened well- can generate substantial outperformance versus a boring index fund. That’s why we analyze the activity of those elite funds in these small-cap stocks. In the following paragraphs, we analyze IHS Markit Ltd. (NASDAQ:INFO) from the perspective of those elite funds. IHS Markit Ltd. (NASDAQ:INFO) has experienced a decrease in support from the world’s most elite money managers of late. INFO was in 27 hedge funds’ portfolios at the end of the fourth quarter of 2018. 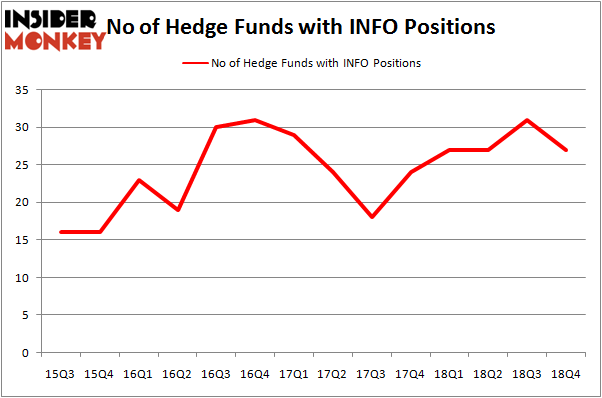 There were 31 hedge funds in our database with INFO holdings at the end of the previous quarter. Our calculations also showed that INFO isn’t among the 30 most popular stocks among hedge funds. Let’s check out the key hedge fund action regarding IHS Markit Ltd. (NASDAQ:INFO). How have hedgies been trading IHS Markit Ltd. (NASDAQ:INFO)? Heading into the first quarter of 2019, a total of 27 of the hedge funds tracked by Insider Monkey were bullish on this stock, a change of -13% from the previous quarter. By comparison, 27 hedge funds held shares or bullish call options in INFO a year ago. 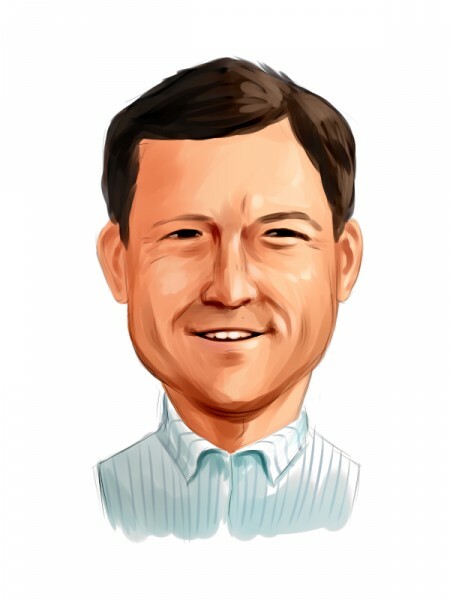 With the smart money’s capital changing hands, there exists a few notable hedge fund managers who were upping their holdings substantially (or already accumulated large positions). Among these funds, Select Equity Group held the most valuable stake in IHS Markit Ltd. (NASDAQ:INFO), which was worth $337.3 million at the end of the third quarter. On the second spot was Farallon Capital which amassed $284 million worth of shares. Moreover, Palestra Capital Management, Adage Capital Management, and Atalan Capital were also bullish on IHS Markit Ltd. (NASDAQ:INFO), allocating a large percentage of their portfolios to this stock. Seeing as IHS Markit Ltd. (NASDAQ:INFO) has faced falling interest from the aggregate hedge fund industry, it’s easy to see that there exists a select few fund managers who were dropping their positions entirely last quarter. It’s worth mentioning that James Parsons’s Junto Capital Management dumped the largest investment of the “upper crust” of funds monitored by Insider Monkey, totaling an estimated $51.4 million in call options. Israel Englander’s fund, Millennium Management, also dropped its call options, about $27 million worth. These transactions are important to note, as aggregate hedge fund interest was cut by 4 funds last quarter. Let’s check out hedge fund activity in other stocks – not necessarily in the same industry as IHS Markit Ltd. (NASDAQ:INFO) but similarly valued. These stocks are Motorola Solutions Inc (NYSE:MSI), Realty Income Corporation (NYSE:O), Northern Trust Corporation (NASDAQ:NTRS), and Edison International (NYSE:EIX). This group of stocks’ market caps are closest to INFO’s market cap. As you can see these stocks had an average of 26.5 hedge funds with bullish positions and the average amount invested in these stocks was $663 million. That figure was $1042 million in INFO’s case. Northern Trust Corporation (NASDAQ:NTRS) is the most popular stock in this table. On the other hand Realty Income Corporation (NYSE:O) is the least popular one with only 18 bullish hedge fund positions. IHS Markit Ltd. (NASDAQ:INFO) is not the most popular stock in this group but hedge fund interest is still above average. Our calculations showed that top 15 most popular stocks among hedge funds returned 19.7% through March 15th and outperformed the S&P 500 ETF (SPY) by 6.6 percentage points. Hedge funds were also right about betting on INFO, though not to the same extent, as the stock returned 13.7% and outperformed the market as well.